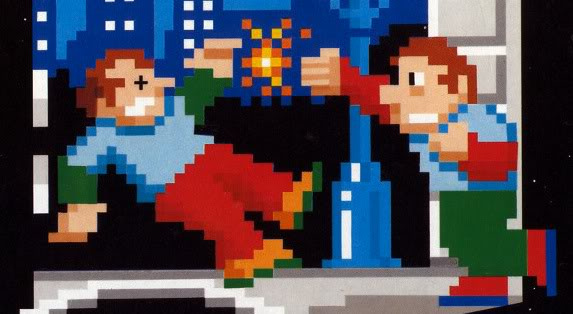 North American members of Club Nintendo have a new title to spend their valuable coins on, but it might not be what you were hoping for. 3D Classics: Urban Champion is available as a reward until October 21st, and will set you back 150 coins. This 3D Classics title first became available a little over a year ago on the Nintendo eShop much to everyone's dissapointment. Just incase you missed our review, we have it here in all its glory. If 3D Classics: Urban Champion doesn't attract your attention, there is also Dr. Mario Online Rx for 100 coins for the Wii instead. We'd recommend going for the latter, but that's just us. And may you have a delectable SonyLife. What's with all these new NLife staffers? When is the UK actually going to get Club Nintendo downloadable games like this? Feeling really let down by Nintendo of Europe/UK not giving us this. This would be quite a good thing in the UK. Thanks for the update, I'll refrain from killing the messenger. Though this does remind me I have 2 Pokemon games to register over at Club Nintendo. Hope I can do both B2 and W2 without having to try and recall my second rarely used account. . Even if it was 10 coins I wouldn't even consider this piece of crap. Out of all the Nintendo games to choose from how in the world did they come up with this! Urban Champions isn't worth spending 150 coins. Probably not worth 150 coins but I got it anyway. I actually remember playing this one, and it finishes off my 3D Classics collection. This "game" should be free with the purchase of a 3DS. It's crap. Wait a minute... THIS WAS ALREADY A "REWARD"
WHAT THE FRONT DOOR NINTENDO?!?!?!??!?!?!? Again?! Oh come on! What about 3D Classics Twinbee or 3D Classics Kirby?! Oh well. I'm still playing Dr. Mario RX. Maybe the next Wiiware/VC game will be OK. I have 50 coins at the moment, after my Nintendogs + Cats surveys, my Dr. Mario Online RX survey and my Mutant Mudds survey, I should have more coins then I do now. Plus Paper Mario next month. Maybe this'll cheer everyone up. What if Nintendo is trying to rerelease this game to as many people as possible in an intentional move to show a new generation of gamers how awful it is? Then, what if they released a full-scale modern reboot at retail, reinventing it as a game that's actually fun enough to gain rave reviews and explosive sales? Okay, I don't believe that either, the idea just struck me as hilarious when I thought of it. I thought Club Nintendo was supposed to reward, not punish, me. I bought this when it came out. Cool art, but awful gameplay. Highly repetitive. 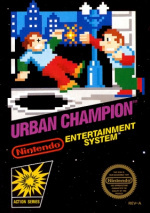 That's great an all but Urban Champion is sorta a button mashing type game. They should have put Punch Out on instead of this. Club Nintendo is being stupid for some reason. Sorry guys, we'll just have to buy good ames with actual money, as usual. Excite Bike - Create a track, then race on it. Xevious - Insanely difficult space-shooter that's sure to make you pull out your hair. Twin-Bee - An easier, but still tough space-shooter from the Famicom. Kid Icarus - A platform game that allows younger players to see the game that led to a great Uprising. Kirby's Adventure - IMO the best of the bunch, this adventure game keeps players entertained for hours. Urban Champion - Repetitive game play that can drain the life out of you just because of how boring it is. Aside from that, wasn't it 100 coins last time? !